In addition to the changes that the mortal muses have undergone, I personally have gone through a major change in the past two months. Her name is Felicity. I’d be lying if I told you that my two month old has inspired me to pick up my camera. If anything, having a baby has made me want to put the camera down and enjoy the time I have with my family. Or rather, it’s forced me to take advantage of any chance I can get some sleep. Nonetheless, I’m starting to come out of the fog and look at the world around me in a different light. I’m learning how to get the most out of my new iPhone and allowing myself to schedule photography dates during an otherwise typical week of sleep, eat and poop. Looking at the images in the mosaic inspire me to retrain my eyes. Now that I think about it, I’m kinda excited to see where this new perspective will take me. Can’t wait to see all your new shots of Felicity! What a fabulous group of shots for inspiration! Can’t wait for you to officially introduce felicity to us! gorgeous little people ashley! looking forward to seeing more of felicity. 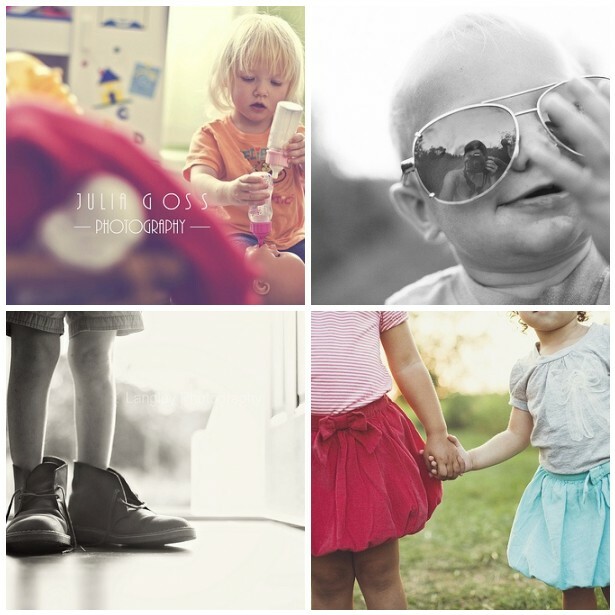 Beautiful shots, you will have endless fun and wonderful memories capturing these everyday moments with Felicity. If I had an iPhone when mine were little I would have taken even more photos than I did, I drove them mad as it was, although they loved seeing the photos come out of the little envelop from the shop or the mail. Yes, I’m that old.